1. 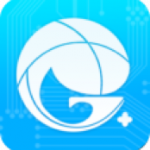 Download the GREE + application from the Play Store for Android or the App Store for IOS. 2. 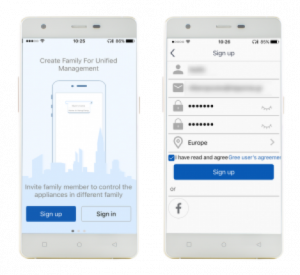 Sign Up to the application by selecting Username, Password, and entering your email and Region Europe. 3. 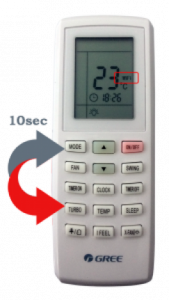 Press the “+” button to add the air conditioner to the management . 6. 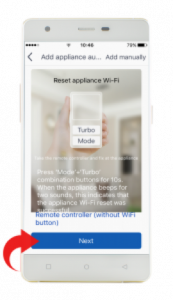 Press the TURBO and MODE buttons on the air conditioner’s control at the same time and for about 10 “, until the beep sounds and the” Wifi “icon on the controller screen is activated. 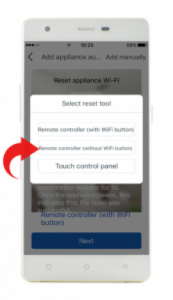 This is how the RESET of the wifi module is achieved. From this moment we have a 2 minute timeout to complete the process, otherwise it should be repeated from step 5 . 8. 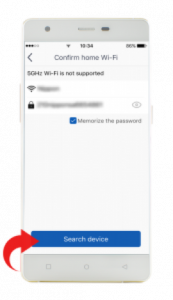 Enter the wifi network password of the area where the air conditioner is installed and press Search Device. 9. 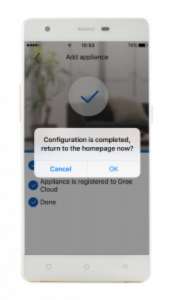 The application searches for the device and automatically connects to GREE Cloud. Then the following screen shown. 10. On the screen that appears, press OK and our device is now connected.